The vision of the Haymarket Foundation is “To create a better future for Sydney’s homeless and marginalised”. 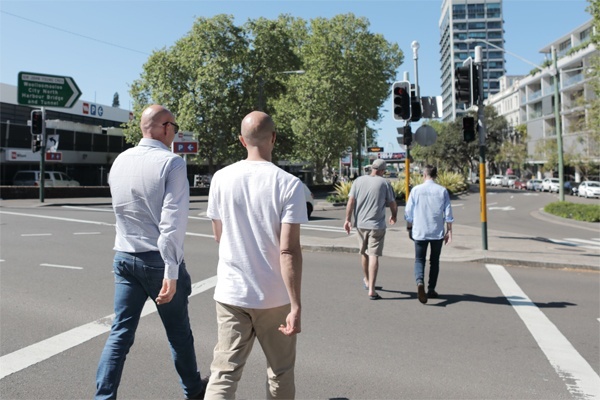 The mission of the Haymarket Foundation is “To work with and support Sydney’s most vulnerable through innovative and client focused recovery, homelessness, and primary health services“. We care: We believe that every person’s life has value, and care deeply about the people we support. We are empathetic: We seek to understand the challenges and realities that our clients face. We are adaptive: We understand that need is individual, and are we flexible and adaptive in responding to the challenges that we face. We are innovative: We actively seek out new and impactful ways of achieving outcomes. We are determined: We fight hard and do what it takes to advocate and get outcomes for our clients. We are collaborative: We respond to complex needs using a team approach. We are professional: We utilise best practice approaches in all areas of our work. On Friday the 10th of August, the crew of Logie-less TV show Tonightly will put on a big fat night of comedy for Homelessness Prevention Week. We acknowledge the Gadigal people of the Eora nation, who are the traditional owners of the land we work on.